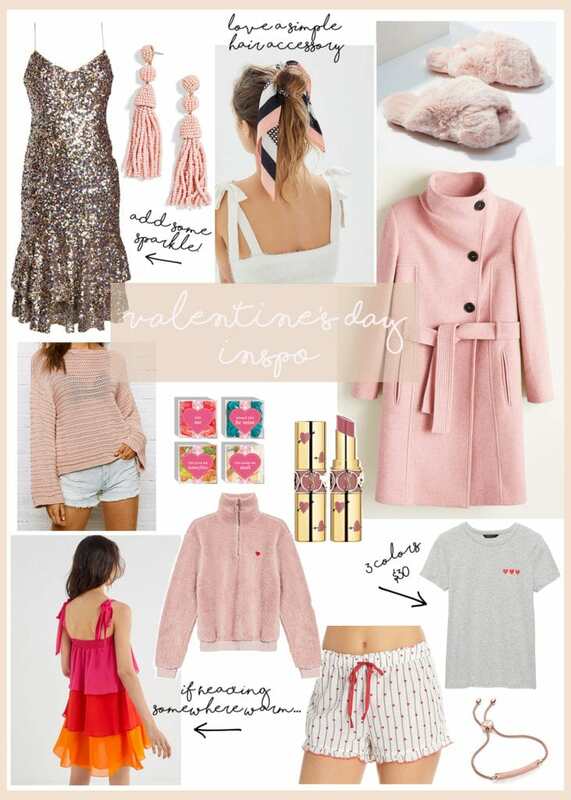 I thought it would be fun to style an outfit that I would typically wear out on a Valentine’s Day date, but also create a visual board and link a few things I have my eye on that I thought you all would enjoy. While Matt and I typically do a low-key Valentine’s Day, I think we both are in the mindset to go out this year since our date nights are becoming more and more limited with this little babe’s arrival in April! While looking around online, I found a little bit of something for everyone, whether you are going out, staying in or celebrating with your girlfriends for a fun Gal-entine’s Day! I have these cozy slippers and am debating buying a second pair because I have been living in them and they are on sale for only $15 and free shipping with code: NEWFAVES. Would love to hear if you all like to keep things more low key, go out on the town or disregard the holiday all together?! Happy Monday, everyone!